Very nice. I suspect you will either paint or resurface the cabinets next. Gorgeous! Amazing how a couple changes can change not only the feel for a room but the whole house (or apartment). 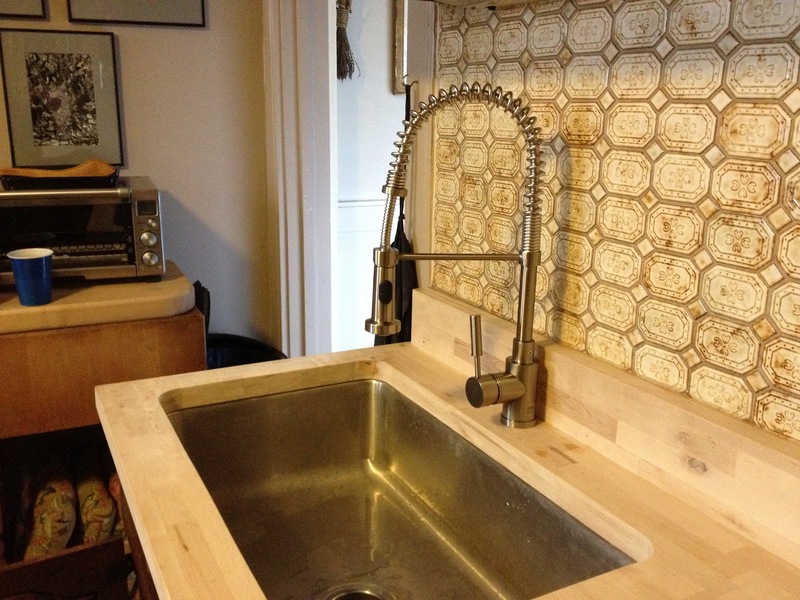 We put in a brown granite composite single bowl sink (Blanco!) last year and I absolutely love it. You can stack up dishes for days in that bad boy. I always tell people house renovations are like the book, "If You Give A Mouse A Cookie", once you start it's hard to stop. I love remodel projects--when they're done! I really love the painted tiles! What brand paint did you use? And did you use a brush? or some other magical tool? OH WOW! Stacey, that looks AMAZING! I'm dying to know what kind of paint you used on the tiles. HUGE kudos to you both for this fantastic and wallet-friendly adventure! I cannot wait to see what's next! The painted tiles look amazing. It is such a great idea. Congrats on the new kitchen. 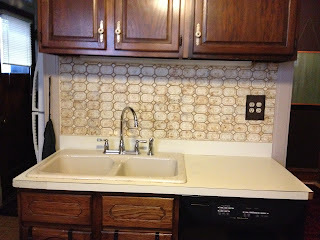 I have horrible tiles in my kitchen that I don't want to replace (in the hopes that someday, sooner rather than later, I can do the whole kitchen). Now that I see this, I WILL be painting those! 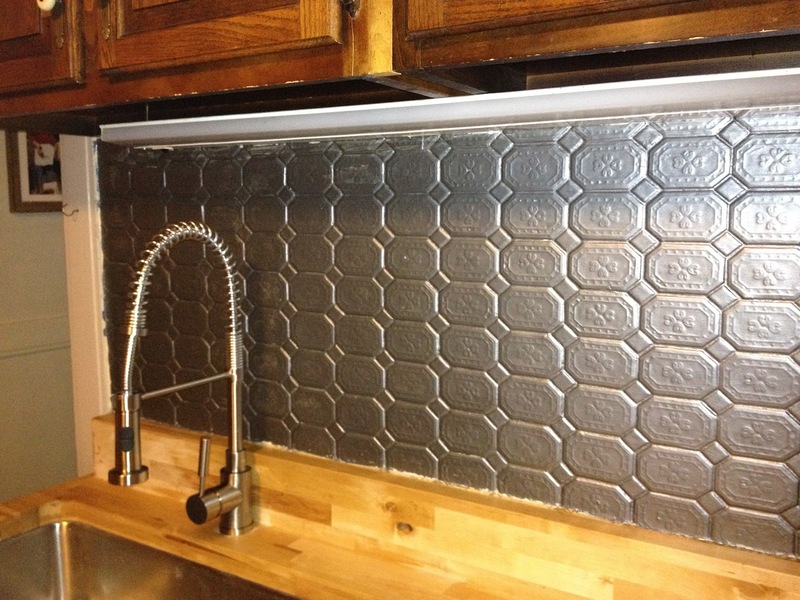 Stainless steel never fails to add charm to our kitchen! When we had our kitchen renovated, my wife suggested that we use stainless steel stuff – like the kitchen sink, faucet, stove, etc. It was definitely a good decision and up to now, all our kitchen items are still in good condition even with little maintenance. 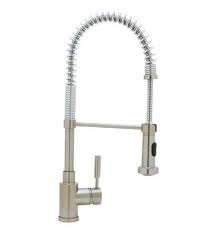 The stainless steel faucet looks great. 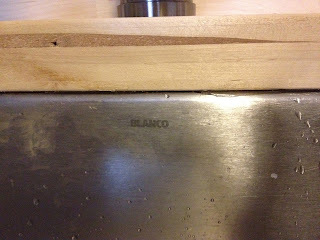 It blends well with the butcher block counter. 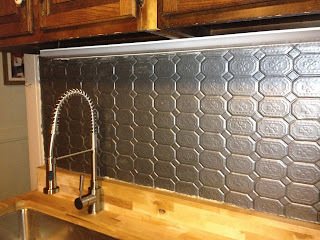 And I think, one of the greatest ideas you came up with is when you painted the tiles metallic pewter. It really looks wonderful, especially at a distance. It goes perfectly with the other details of your kitchen. 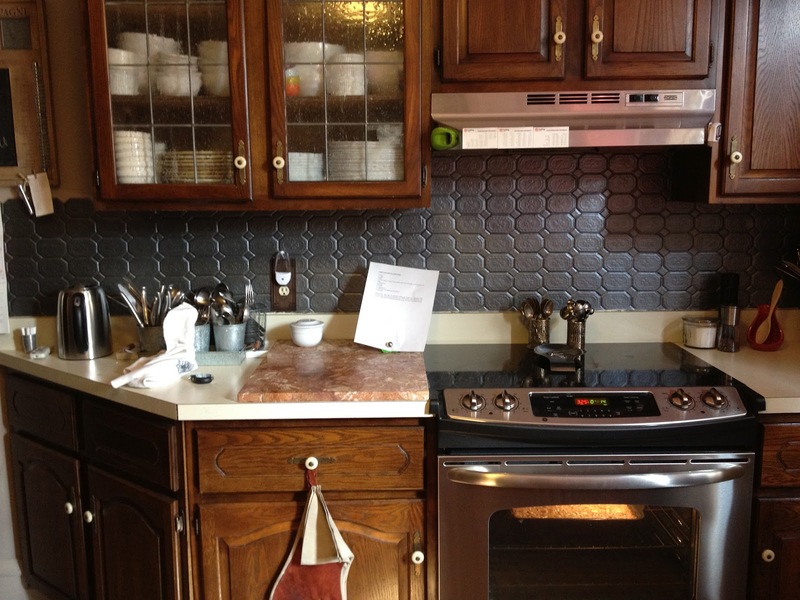 From the oven, to the cabinets and up to utensils!